Robert Lachman has been around photography since his childhood. He attended the California Institute of the Arts, where he earned a bachelor’s degree of fine arts in photography. Lachman started at The Times as an intern in 1974 and has been a staff photographer and photo editor for 40 years. He’s covered the Olympics, World Series, Super Bowls, Stanley Cup championships, presidential elections, natural disasters, the Academy Awards and other events. He has taken celebrity portraits, but he also enjoys photographing people from all walks of life. 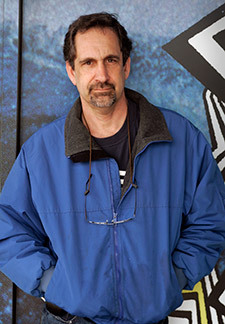 Lachman’s award-winning work has appeared in national publications, including Time and Newsweek magazines, and he has lectured at UCLA, USC, Chapman University and UC Irvine. He is married, has four kids and two fuzzy dogs.